Will the Temple in Jerusalem be rebuilt, a “third Temple” or will the Antichrist sit in the Church the Temple of God? 1) As Matt. 24:2-3 associates the destroyed Temple with the time of Christ’s coming, therefore it won’t be rebuilt before He comes. 2)In John 4:21 Christ likens the fate of the Temple in Jerusalem to that of the Samaritan Temple that lay in ruins as He spoke, saying the time would come (about 40 years later) when the Father would never again be worshiped in either Temple. Therefore, even if the Temple in Jerusalem is rebuilt by unbelieving Jews or antichrists, it would not be a “temple of God”. 3)Paul speaks elsewhere of a coming Christian apostasy (1 Tim. 4:1–3; 2 Tim. 3:1–5; 4:3–4) as do other apostles (2 Peter 2:1; 3:3; Jude 1:18; 1 John 2:18-19; 4:3-6). Therefore, this is a Christian apostasy that permits the “man of sin be revealed…and sit as God” among them. As a Christian apostasy is irrelevant to who rises up in Judaism or sits in their Temple, the “Temple of God” in 2 Thess. 2:4 must be the Church consistent with Paul’s teaching elsewhere (1 Cor. 3:16-17; 6:19; 2 Cor. 6:16; Eph. 2:21). 4) Only the literal temple in Jerusalem could be God’s Dwelling (naos) to “Pharisee Paul” (Acts 23:6), but he consistently calls the Church the “Temple of God” (1 Cor. 3:16-17; 6:19; 2 Cor. 6:16; Eph. 2:21). This implies “Apostle Paul” has undergone a deep and permanent change in perspective that would prevent any casual switch in reference, with no explanation. The only other times Paul spoke about a physical temple were in 1 Corinthians 9:13, Acts 25:8 and Acts 17:24. In 1 Corinthians 9:13 and Acts 25:8 he uses the word “hieron” (G2411) specifically to refer to the physical temple in Jerusalem. In Acts 17:24, however, he is quoted as using the word “naos” to refer to physical temples in general, however his entire point was that it was no longer a physical temple in which God dwells. Why? Because the Church was now that temple. In these instances where Paul spoke about a physical temple he never referred to it as “the temple of God” or an equivalent expression.-ICA (David Wood) 03/13/2011, MidnightWatcher’s Blogspot. 5) Paul’s references to the Holy Spirit among the Thessalonians (1 Thess. 1:5-6; 4:8; 5:19; 2 Thess. 2:13) strongly imply they understood the Church is the peculiar “dwelling naos of God” (1 Peter 2:4-10) and not the literal Temple in Jerusalem. 7) He is a “man of sin”: Man teaching aberration from God’s truth in parody of Christ (cp sin versus truth, John 8:46). False teaching defiles “God’s building” the “temple of God” (1 Cor. 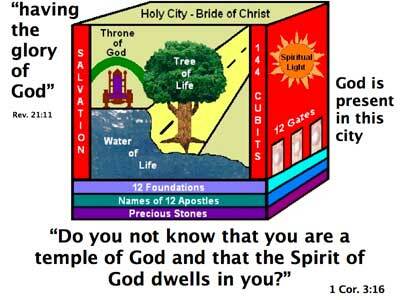 3:9-10, 16-20) which temple the church is. Clearly he has in view the “man of sin”, the miracle working False Christ Man defiling the Temple of God, “which temple ye are” with aberrant Christianity. The “destruction” threatened confirms this, in 2 Thess. 2:3 the “man of sin” is named the “son of destruction” because he will merit everlasting destruction in the lake of fire (cp John 17:12). Ἄνθρωπος τῆς ἁμαρτίας [man of sin]answers to the Hebrew אִישׁ אָוֶן, [unrighteous man] Isaiah 55:7; Prov. 6:12, υἱὸς τῆς ἀπωλείας [son of destruction]to the יֶלֶד פֶשַׁע [children of transgression], Isaiah 57:4, which the LXX. translate by τέκνον ἀπωλείας [children of destruction]. –Biblical Commentary on the New Testament by Dr. Hermann Olshausen. (A. C. Kendrick & D. Fosdick Jr., Trans.) (Vol. 5, p. 315). New York: Sheldon, Blakeman, & Co. Therefore, “temple of God” in 2 Thess. 2:4 is the church the miracle working man of sin will defile with his aberrant Christianity. A literal temple in Jerusalem cannot be similarly defiled. Arguments why temple of God cannot be the church. An objection fatal to interpreting the temple of God here as the Church (1 Co 3:16, 17; 6:19) is, the apostle would never designate the apostate anti-Christian Church “the temple of God.”-Jamieson, R., Fausset, A. R., & Brown, D. (1997). Commentary Critical and Explanatory on the Whole Bible (Vol. 2, p. 396). Oak Harbor, WA: Logos Research Systems, Inc.
As God’s residence of old was in the temple of Jerusalem, so he, as God, sitteth in the temple of God: not that temple that was built by Solomon, and afterwards rebuilt, and to be built again, as the popish doctors speak: for it is now destroyed, and if it be built again by this man of sin, as they say, at his coming, would the apostle call that the temple of God? 2 Cor. 6:16; Rev. 3:12, &c.-Poole, M. (1853). Annotations Upon The Holy Bible (Vol. 3, p. 760). New York: Robert Carter and Brothers. Paul calls the “revelation” (ἀποκαλύπτω) of the “lawless one” a “coming” (παρουσία), this is a parody of Christ’s coming to His church, “False Christ in parody of True Christ” therefore calling an apostate Church “the temple of God” is in keeping with OT usage of “Israel, Zion” etc. where a fallen away people did not lose their “title” even though apostate. The presence of TARES in the church does not change its identity as “God’s field” even when both grow together until the harvest (Matt. 13:30, 36-42). Arguments 1-8 below are from Professor John Eadie’s Commentary on the Greek Text of the Epistles of Paul to the Thessalonians. (W. Young, Ed.) (pp. 271–272). London: Macmillan and Co.
(1) There is no allusion in the context to believers as being God’s temple, but in the text quoted believers are directly asserted to constitute it. Incorrect, Paul asks: “Do you not remember that when I was still with you I told you these things?” (2 Thess. 2:5) NKJ “These things” necessarily include the transition that began in the gospels where Jesus’ Body is the Temple (Mat. 26:61 comp. John 2:21) and the Church is the Body of Christ (1 Cor. 12:27; Eph. 4:12 cp. 1 Peter 2:4-10). And if so, καθίσαι makes no difficulty. Its figurative sense, as holding a place of power, sitting as judge or ruler, is more frequent still: see in St. Paul, 1 Cor. 6:4: and Matt. 23:2: Rev. 20:4: to which indeed we might add the many places where our Lord is said καθίσαι on the right hand of God, e.g. Heb. 1:3; 8:1; 10:12; 12:2; Rev. 3:21.-Alford, H. (1976). Alford’s Greek Testament: An Exegetical And Critical Commentary (Vol. 3, p. 290). Grand Rapids, MI: Guardian Press. (2) The sitting in the temple does not harmonize so fully with the notion of an ideal or spiritual structure. The citations adduced by Alford are scarcely in point, as 1 Cor. 6:4 where, ἐν τῇ ἐκκλησίᾳ occurring, the meaning is evident, and the clause signifies, set them as judges for a definite purpose; Matt. 23:2, where sitting in Moses’ chair is without ambiguity; and the image is as evident in Rev. 20:4. The places where Jesus is said to sit on the right hand of God are not in analogy; his royal seat is the symbol of highest exaltation and of universal dominion. (3) If the temple of God be the church, what is meant by the Man of Sin entering and seating himself in it, what is the position which he thus occupies, what is his locality? for he is no ideal usurper, no personified evil influence, but a man with human conditions. See #2 directly above, same Fallacy of accent. He sits as God figuratively in the figurative Temple of God the Church. Neither are literal. (4) Could those for whom the epistle was written easily understand by the phrase the Church of Christ; or would not their first and most natural conclusion be that the Man of Sin was to intrude into some actual edifice, set apart to God as His shrine, like that at Jerusalem, and appropriate it. Circular Argument begging the question entirely as its clear from Paul’s consistent application of “Temple (naos) of God” to the church proves. (5) The next clause, “Showing that He is God,” leads to the same conclusion—he that sits in God’s temple takes God’s place and prerogative, for the temple is His dwelling—a conclusion which could not have the same force and evident connection with the premises, if the temple were the church so symbolized, for the usurpation would in that be more directed against Christ, the Head of the Church, or the Holy Spirit who fills it. Hasty Generalization Fallacy Ignoring surrounding context. The man of sin appears to an already fallen away church with all power signs and wonders that serve the lie he is the Christ. The energy of Satan inworking is an energy of error that deludes the apostate church to descend into even more lawlessness. As they do not love God’s truth Holy Scripture they have no means of discerning the spirits. At mid-week he casts off all trappings of Christianity and morphs into the Son of Destruction, denying the Father and the Son (1 John 2:18-23) elevating himself above all called God. He continues to work signs and wonders that serve that lie. A Jewish Temple is foreign to this context. (6) Were the Church to permit such intrusion, and such impious self-assumed exaltation on the part of the Man of Sin above all divine persons and worship, it would cease to merit the appellation of the temple of God, and also on account of the previous apostacy which made such self-deification possible. False Cause Fallacy. Self-deification isn’t dependent upon the fallen away church. Its dependent upon the unrestrained working of Satan in all power, signs and wonders serving the lie the man of sin is the Christ and his gospel of lawlessness divinely approved. Then at mid-week casting off all trappings of religion he declares himself above everything called God or worshiped becoming the Son of Destruction Beast Antichrist, denying the Father and the Son (1 John 2:18-23). (7) The entire prophecy is distinct and personal, of prosaic and plain directness in its description of a man possessing a certain character, bringing on himself a certain destiny, and as he is at length to be consumed by the Lord at His Second Advent; may it not therefore be said that it would be out of harmony with this literal style of prediction, if in the midst of it should occur an unfamiliar image as the name of a place which is the scene of a usurpation without parallel? Fallacy of Misleading Context. That is a distorted view of the text which does not mention an image, it speaks of a man who figuratively sits down as God in the church working signs and wonders that serve that lie. (8) This is also the earliest interpretation. Irenæus says expressly, “Besides he has also pointed out, which in many ways I have shown, that the temple in Jerusalem was made by the direction of the true God. For the apostle himself, speaking in his own person, distinctly calls it the temple of God … in which temple the adversary shall sit, trying to show himself off as Christ. 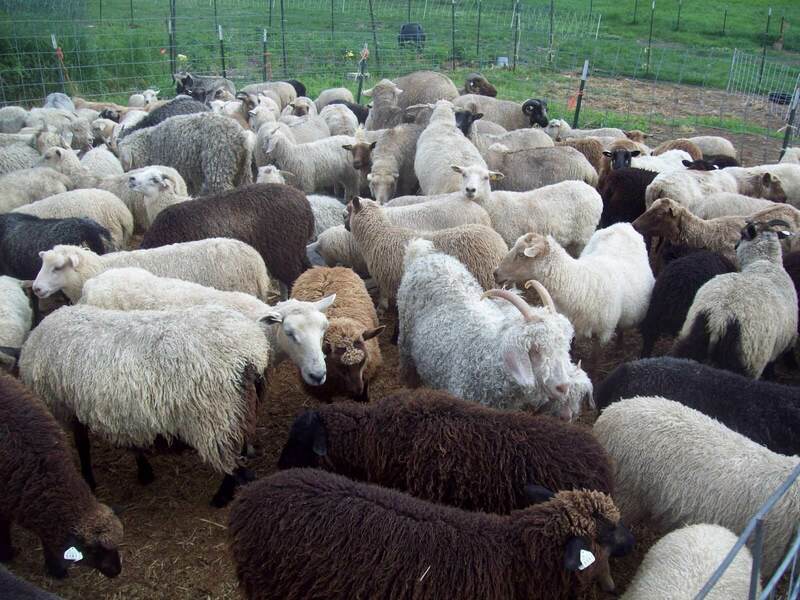 Argumentum Ad Verecundiam appeal to authority and hasty generalization fallacy as the “earliest interpretation” necessarily dates from the 1st century, not the second century. Alas, those early writings are mostly lost to us. That ends Professor JOHN EADIE’S arguments. There are others which I will treat at a later time. 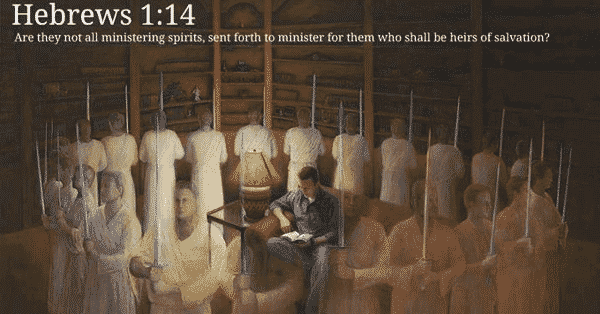 Does Hebrews 1:14 teach angels are spirits?